....to host a visit from my sifu, Master Kevin Earle. He dropped in to see us during Thursday night's class, and I caught up with him again on Friday. Our Saturday workshop with him officially started at 10:00am and ran till 5:00pm, with a break for lunch. I do believe he enjoyed himself! Afterwards we all went out for drinks and dinner to wax lyrical about kung fu and other important subjects. His trip down was a great opportunity for my students to meet him and benefit from his teaching and depth of knowledge. On Sunday, Tony spent an hour or so in private instruction with Kevin. After that, Kevin and I went over a few things together, and I so appreciate his suggestions and insights. Left to right: Anthony, Brent, Waz (Wanaka), Chris, Mike, Hadrian, Kevin, Marty, Ange, Steve, Daryl, Jes (Wanaka). I made this picture of Kevin during the lunch break. Hadrian ...gentleman ...and kung fu powerhouse. Back row: Sam, Mike, Jes, Brent, Kevin, Ange, Chris, Hadrian, Steve. Front row: Jasper, Waz, Simon. Left to right: Jes, Kevin, Waz. 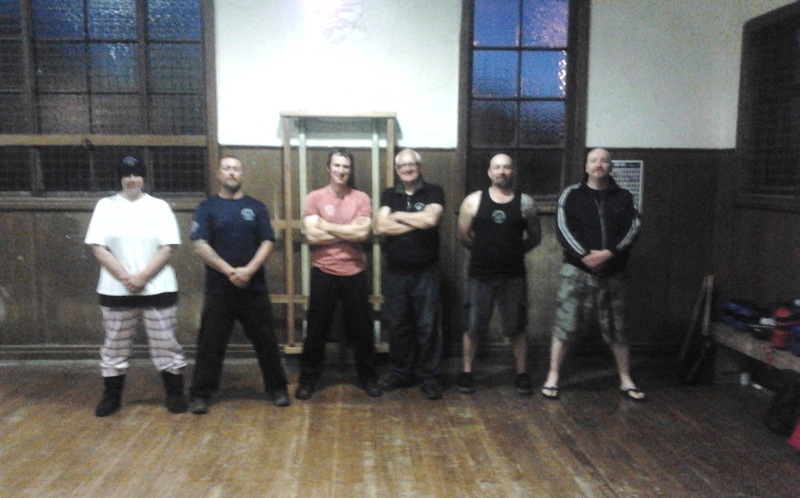 Kevin's first visit to Southern Wing Chun 08-11-2012. Ange, Brent, Anthony, Kevin, Mike, Steve.